There’s a big difference between someone who is having a bad week and someone who is suffering from clinical depression. There many different types of clinical depression, but the Mayo Clinic estimates that more than three million cases are treated annually in the US. What this number doesn’t tell us, though, is the number of cases that are either undiagnosed or untreated. So, what are some of the most common depression symptoms to look for? Stay with us and we’ll show you how to identify clinical depression in yourself or a loved one. Is It a Bad Day or is It Major Depression? Only a doctor can officially diagnose a case of clinical depression. Unfortunately, unless you know the warning signs of depression, you are unlikely to seek help for yourself or a person you care about. People who suffer from depression may experience a range of sleep disturbances, including early awakening, increased sleepiness, insomnia or restless sleep. The impact of poor sleep quality extends beyond the bedroom. It increases our risk of heart disease, high blood pressure and stroke. 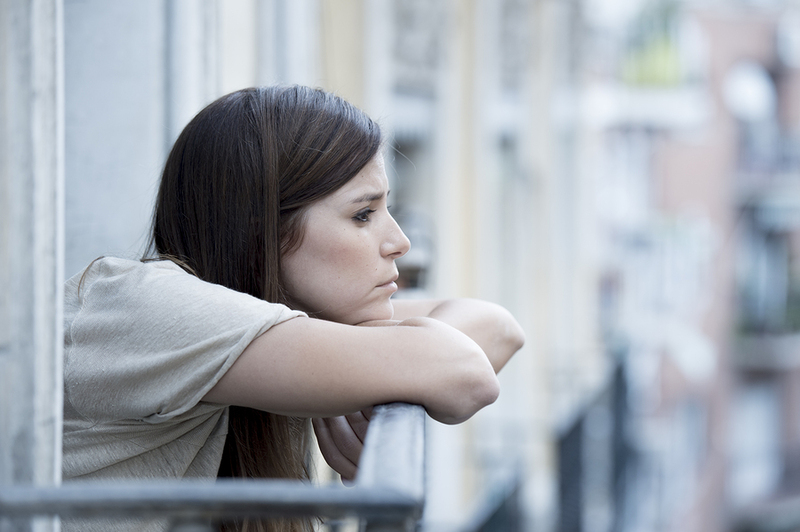 Clinical depression may create a rift between our friends, family and loved ones. Not only does social isolation strain our relationships with the people we care about most, it also causes further damage to our physical and mental health. For some, depression could cause noticeable fluctuations in weight. Some people might put on extra pounds while others may appear to wither away. If these changes can’t be attributed to a known medical problem or medication, further consideration might be warranted. An abrupt loss of interest in the things that previously brought us pleasure and made us happy is a hallmark symptom of depression. While it’s normal for our hobbies to change over time, we usually replace them with new activities or pursuits. Many people who think about suicide view it as a means to end the pain they are feeling. If you think about suicide often or if you’ve actively taken steps to plan your suicide, you are most at risk. Similarly, practices like “cutting,” where an individual purposefully uses a sharp object to pierce the skin, can be a coping mechanism for dealing with intense feelings of hopelessness or worthlessness. If you’ve noticed depression warning signs like the ones listed here, you might be wondering what to do next. If you think you could be struggling with clinical depression yourself, the first step is to seek professional medical help. A good place to start is with your primary care doctor. He or she can help screen you for depression and, if necessary, refer you to a mental health specialist. On the other hand, if you’ve noticed these depression symptoms in a friend or a loved one, you should not try to force the person to seek help. Instead, you may want to offer your support, show an interest in how they’re doing and express your concern for their physical and emotional well-being. If they respond negatively, take a step back give them some space. If you or someone you care about is struggling with depression, we are here to help. Our Admissions Specialists can receive calls 24/7, and we offer free telephone assessments. At Growth Extended we offer a caring staff, comprehensive holistic treatment and extraordinary facilities to provide a safe and healing environment for treating clinical depression. Learn more about how we can help, or contact us today.